← Really revolutionizing the industry, and it is working! An old joke: if you see a fork in the road, take it. I said I would stop criticizing the styles of skating and I will abide by that. It got my credentials cancelled at a couple of tourneys, but I can live with it. But so many others have taken up the cause that many interesting things are happening. And the teams and players are starting to choose the style of skating that they want. If you have time please ready the latest windyman blog: www.windymanrd.wordpress.com. He writes about a well-known skater who just couldn’t deal with the current style of WFTDA game…..hopefully the latest rule change will alleviate some of that. What’s ironic here, is that Windy man, a great guy, was standing next to me at the WFTDA western regionals when I was asked to leave…..maybe he will join my posse. I guess now that I am writing columns in Blood and Thunder for January, as well as for Lead Jammer Magazine in the UK, that I could be credentialed, but why? Photo by phre3a from stock.xchng.com. The funny thing is my favorite teams are WFTDA: Silicon Valley, Sonoma Valley, and Resurrection Roller girls – my hometown squad, Sac Rollers and Sacred City. So I guess it is about the old message, don’t shoot the messenger. Unfortunately, I am no longer sure about the Bay Area Derby girls after my experiences at the Western Regional. So what does this all mean? Your skating life is not that long…..you can stay affiliated with Roller Derby, but you should skate the way you want. And many are now looking seriously at USARS. Yes, there are still some points in the rules that need tweaking, but as more and more of you skate it, skaters, coaches and officials will hone it. And MADE with Coed rules and Renegades with what rules, and USARS Banked track and men’s leagues give a lot of options. And wait for Donna “the hotflash” Kay, the great innovator to come forth with her Oneworld cooperative. I know many of you out there are justifiably proud of what has come about in the last 10 years……over 1375 leagues in 41 countries and the dominant (but not the only) ruleset is WFTDA. If it is what you want and love to skate, stay with it and help it progress. I find it interesting that the #2 team in the world, the Oly Rollers (and my Resurrection Roller Girls) will be competing in the USARS nationals in Fresno December 14th to 16th, and more players will be watching the tournament (I hope on DNN) and deciding for themselves. The only downer is that they are not using Brown Paper Tickets because it is a Ticketmaster building, and because of the high service fees they charge, USARS is handling the ticket sales themselves. Check it out at USARS.com. 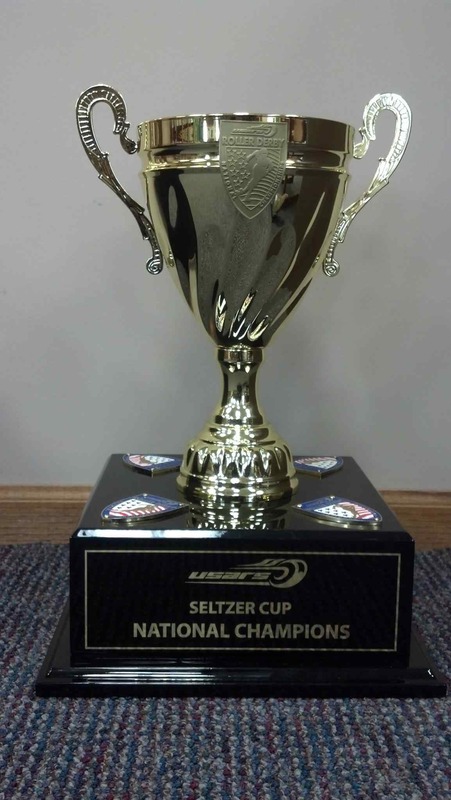 However, the championship trophy is the Seltzer Cup, named after the founder of this wonderful sport. Who says I can’t get no respect? want to see the rules from 40 years ago? go to you tube to :Roller Derby rules 1970. fans (over 14,000) loved speed and action, no stopping. You make a lot of valid points Jerry. You should keep writing, your blog is infinitely interesting. You’re absolutely right. The game is what is important. It’s what each individual takes from it. It’s not about the size of the league, governing bodies, or rule sets – it’s about what you get, in the way of personal growth and satisfaction, from the sport. I’m not afraid to say I’m one of those who looks forward to seeing the USARS National Championships. I’m ready to see something new. I like their rules as they read on paper. Good banked track play is AMAZING. USARS adopts some of the great things about banked rules that make the game more fun to watch, while leaving room for varied interpretations. I’ve always supported WFTDA. Yet shudder at changes for 2013. Rules? I don’t care about the rules changes, my interest level dives reading about de-regionalization of the sport. Even college basketball, which the bracketing system compares itself to, has regions. We call them conferences. Conferences are at the heart of every high school, college, and professional sport. Loss of area rivalries means less fan interest, less fan travel, and team travel costs rising. We should be building up regional play, not eliminating it. Teams have to want it bad enough to change the outcome of who holds the WFTDA title. Changing the way they get to the final game does nothing to change the outcome, and destroys regional/local interest at the same time. The microcosm of regional play is the play of house teams for a league championship. The sport draws so many more people to shout for their favorite league team (talk about rivalries! ), yet even regional inter-league is a tough sell in all but a few markets as it is. That can be made better. Selling the idea of 40+ teams, ranked nation-wide based on last year, fighting for playoff spots is something not even sports fans have any basis to understand. USARS adopts some of the great things about banked rules that make the game more fun to watch, while leaving “LESS” room for varied interpretations. Bob. you have hit such an important point. what if football, basketball and baseball teams were all independent, hoping to getting invited to a tournament at the end of the season with games scheduled that were really topsy turvy, had no meaning to their fans. Kind of like the Harlem Ambassadors who tour a town maybe once a year. I have been espousing giving the games more meaning: create six-team leagues on a geographical basis so you could post a full season schedule and the fans would know that if your league landed in the first four at the end of the schedule, you would be eligible for a playoff and the eventual winner would go to the championship. This is not based on some abstract rating system that seems to encourage one-sided games. Too many people who have seen games have said to me,”I’ve seen Roller Derby, and it is fun” but the same as if they had seen the Harlem Ambassadors and would catch them again sometime in the future…..Whereas if Boston was playing Springfield and the next game was New Haven and you could tout the players coming in and what a win means, you have a built in interest for the fans. and you bring in travel teams as a special event. Some leagues have at least 3 teams so you would not have to add that many other cities to your league……and your regional playoffs would be something for fans to look forward to and promote better ticket sales. Just remember how good the skating gets when the regionals start, and so few of the 600 or so leagues in the US get to participate. I would like to see each league free to schedule whomever makes sense, regardless of the style of play…..you certainly could agree on style for your league……It would be so much better in my opinion if Roller Derby was free to be more inclusive. More skating for more skaters, more meaningful games for the fans, and dammit, the future of the sport depends on the fans. Those who don’t agree could just schedule games on a closed door basis. Hear, hear! I started my derby career (some 6 years ago) as a fresh meat skater in my local (2-hour commute) WFTDA league. After a year of sitting in the meat locker (this is post passing all assessments and waiting to be “picked” for a team) and being utilized only for scrimmage nights and running the penalty box for games, I started joining a few extra practices with other area non-WFTDA leagues (in some cases the commute was even longer) to beef up my skills to become the skater it seemed my original league wanted. At the VERY FIRST practice I attended outside of WFTDA, I was asked what it was my current league was looking for as they were impressed by my knowledge of derby in general and had put me in a few jams to see if I “had what it took.” I was told that evening that if my current league could not appreciate the talent they had sitting idly by that I would be welcome to attend and participate in games as a member of the leagues I had visited (this was 3 different leagues willing to take me when my WFTDA league was wanting to “age the mutton.”) I truly do thank those leagues who were willing to look beyond the bias of “you play _____ derby so you can’t play our derby” and take a chance at actually EMPOWERING a skater to fulfill their dream. It is due to them that I have had the added benefit of helping start up the very first co-ed, multi-style league in our state, as well as train the next few generations of skaters, refs, NSOs, and derby enthusiasts in the wonders of this sport. To summarize: If there is room in your heart for derby, the derby leagues need to make room for that love.